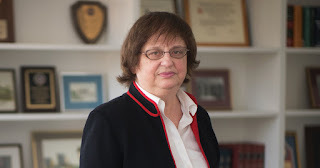 NEW YORK, N.Y. -- Today, Attorney General Barbara D. Underwood – part of a bipartisan coalition of 21 Attorneys General – urged congressional leaders to improve American cybersecurity and protect the integrity of the upcoming 2018 midterm election and elections to come, against cyberattacks and infiltrations like the ones committed by Russia in 2016. Investigations have made clear that Russian hackers targeted the American electoral system, stole the private information of hundreds of thousands of people, and infiltrated a company that supplies voting software across the nation. "No matter how much President Trump waffles, the facts are clear: Russia interfered with our 2016 elections. It's high time that Congress act to prevent the next attack – because our democracy depends on it," said Attorney General Underwood. "Our bipartisan coalition of Attorneys General has outlined basic steps Congress can take right now to protect election integrity, before it's too late." The coalition of AG's urged three steps in addressing election security concerns. Increasing funding for the Election Assistance Commission to support election security improvements at the state level and to protect the personal data of the voters of our states. Many states lack the resources and tools they need to protect the polls during this year's upcoming elections. Additional funding for voting infrastructure will not only allow states to upgrade election systems, but will also allow for a comprehensive security risk assessment. Unfortunately, past practice has shown that the existing Election Assistance Commission grants are simply insufficient to provide for the upgraded technology needed. More funding is essential to adequately equip states with the financial resources necessary to safeguard our democracy and protect voter data. Protecting the integrity of the American voting system is a vital, bipartisan issue, reflected in the bipartisan coalition of Attorneys General that joined today's letter: New Mexico, California, Connecticut, Delaware, District of Columbia, Hawaii, Illinois, Iowa, Maine, Maryland, Massachusetts, Michigan, Minnesota, Mississippi, New Jersey, New York, North Carolina, Oregon, Rhode Island, Virginia, and Washington.